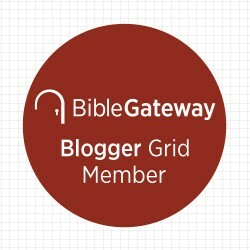 Hi new friend, this blog has moved to a new domain. Visit Joy Pedrow Ministries at joypedrow.com! 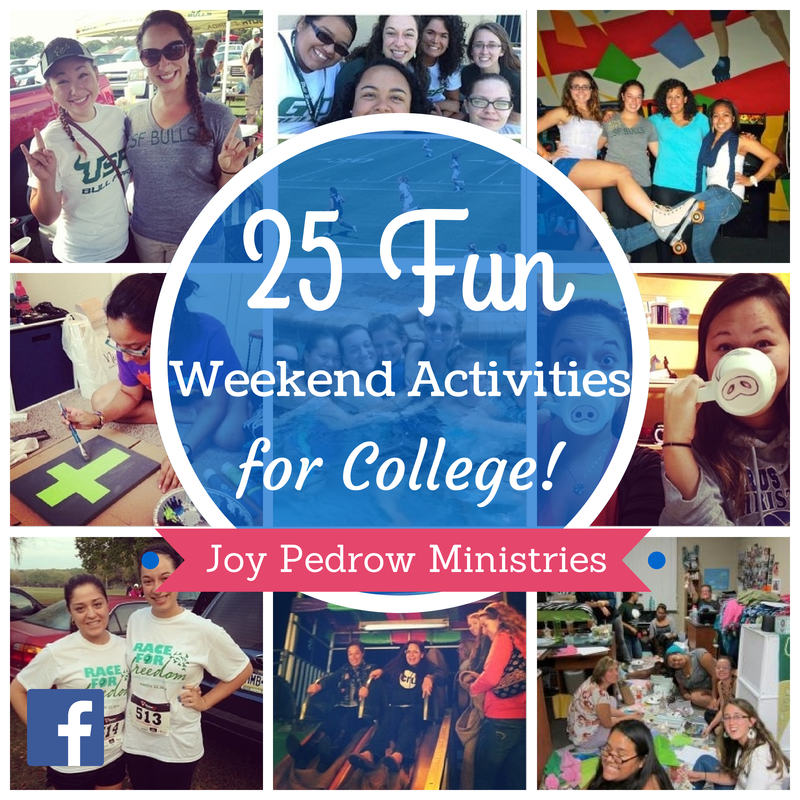 You can find this post here: 25 Fun Weekend Activities for College Students. During my freshman year of college, I worried that I wasn’t truly experiencing college because I wasn’t drinking and partying. What a lie I believed, because these last 3 years have been insanely fun! College may be portrayed as a party scene, but that is not how your college experience has to be. As a Christian in college, you can still have the time of your life! Craft night! This is a favorite in my apartment. Need an idea? Check out my DIY Crafts board on my Pinterest. Game night! We always have the Cru guys apartment over for game night. We play charades, fish bowl, and other games. So much fun! Bake. Make something together or have everyone bring something and have a bake off. Have a gingerbread house decorating contest! You can use Rice Krispies, gram crackers, icing, candy, sprinkles, and more. Perfect for Christmas time. Go rollerblading. When was the last time you went rollerblading? You are never too old. Paint pottery! If you’ve never painted pottery, you have to try this. I’ve gone a couple times and we always have a blast. Host a bonfire. Some apartments have mini fire pits in the common area, so host a bonfire and make smores! I have a friend that lives at home right off campus, so she always hosts our bonfires. Go out for sushi! Get dressed up and go to a nice sushi place. We have a place that we always go to that has half off after 10! Day out. Spend the day at Panera. Buy a coffee and do homework with a friend. If you have to do homework, it is nice to do it in a fun environment and get out of your dorm. Have a puzzle night! I know this sounds like an evening for grandma, but I’ve had some of the best conversations while puzzling. Puzzling doesn’t require much thinking, so it provides a great space to have heart to hearts. We even have a puzzle table at my apartment. Explore your campus and city. Google things to do in __(enter city)__. There might even be something going on downtown. I’ve found art festivals, free movie showings outside, and carnivals. Have a dance party! We have hosted halloween parties, birthday parties, and themed parties. We play music and the people dance! So so fun! Open mic night. We found a little coffee shop near us that has a monthly open mic night. The talent is not very good, but that is part of why it is so fun! Every time we go, the same women sings songs she wrote about random objects. Plan and run a 5k. You can even train together before hand! Attend a sporting event on campus. Find out what sport is in season, get a group together, put on your school colors, and go cheer on the team. One of my roommates is on the women’s soccer team. This year we are making signs and going to cheer her on. Go Bulls! Spa day- at home! Paint your nails, find DIY face masks on Pinterest, etc. Be silly! Put on crazy outfits and go out to dinner! Model! Get dressed up and have a photo session around campus! Pull pranks on your roommates. We texted them and told them we made brownies and the came home to brown-es! Have fun and enjoy your college years! Trust me, they go way too fast. 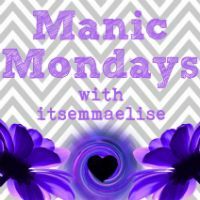 Check out the other posts in this series, Christian in College! « How can we maintain an authentic relationship with Jesus in college? Love this!! thanks for encouraging others faithfully! Awe that’s so encouraging! Thanks! Joy, you have some wonderful ideas here and they are not just for college students.